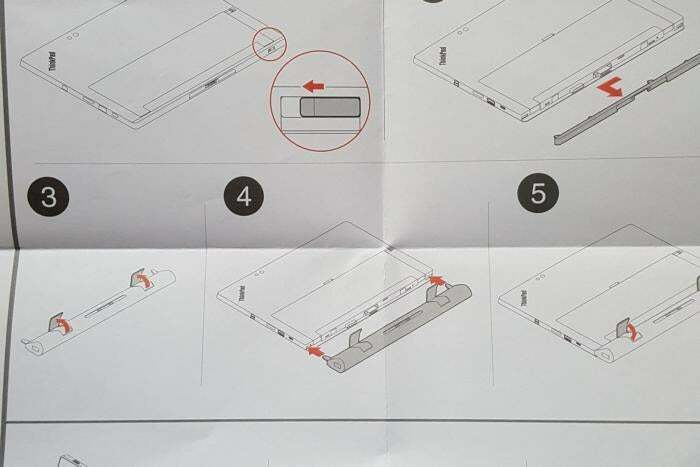 The tablet's modules do support keyboards, but you might be turned off by those plastic bits. We gave Lenovo’s ThinkPad X1 tablet high marks not for its performance, but for the elegance of its design. We still have mixed opinions on its three related productivity modules, due to price, performance, and some small plastic bits that you’ll have to be careful not to lose. Modularity has emerged as a theme for Lenovo, home of the Moto Mods and Thinkpad Stack modular accessories. Now a series of three “modules” do the same for the Lenovo X1 Tablet: the $150 Productivity module, the $280 Presenter module, and the $220 3D Imaging module. 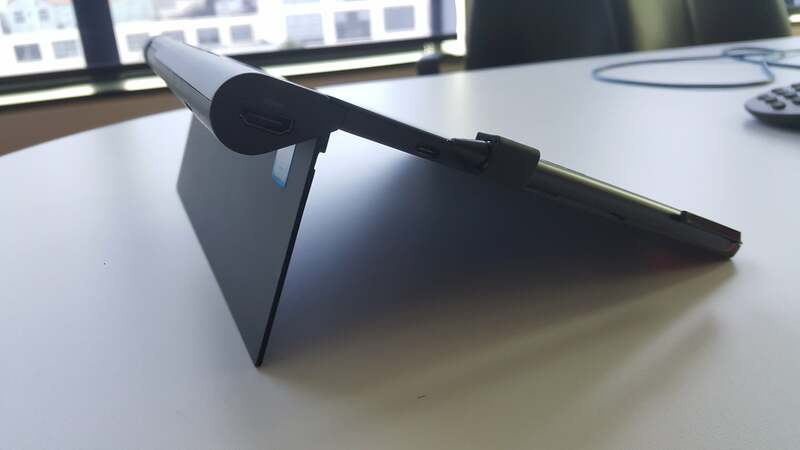 Lenovo shipped us the first two, which we didn’t have at the time of our X1 tablet review. Think of Lenovo’s three modules as a utility belt of sorts for business users (although there’s nothing stopping consumers from buying them): small, purpose-built gadgets that expand the capabilities of the X1 with a minimum of fuss. It’s a smart concept, but Lenovo’s dedication to a clean aesthetic makes the modules less useful. 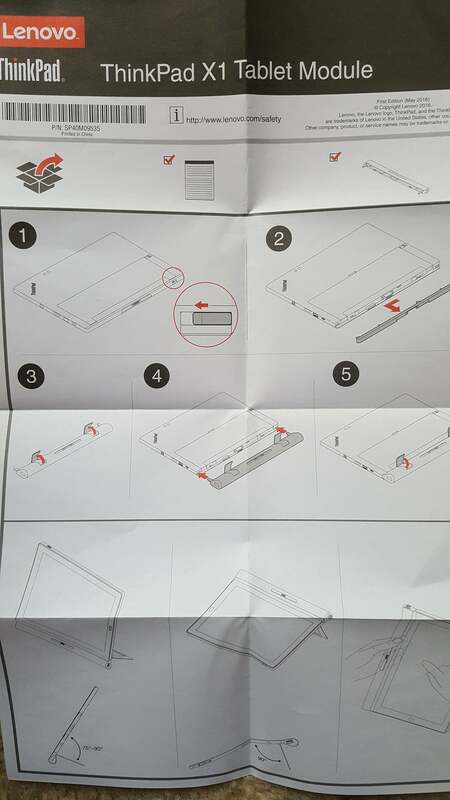 We thought that the modules couldn’t be used outside of tablet mode, which an instruction manual implies. That was incorrect—but there’s still some odd plastic bits that you’ll need to be careful not to lose. 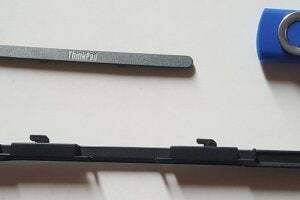 To use the modules, you have to first remove a thin sheath of plastic clipped to the base of the X1 tablet via a sliding latch. This exposes tabs on the tablet’s edge; metal clips on the modules slide into these tabs and a pair of clamps provide additional support. The pogo pins that normally connect to the excellent X1 keyboard now serve as the modules’ interface. Take care when setting aside the thin plastic sheath: If you break it or lose it, you can’t easily reattach the keyboard. The small modules clip into the bottom of the tablet, where the keyboard would normally fit. Two clamps are also on the rear of the Presenter module, shown here. 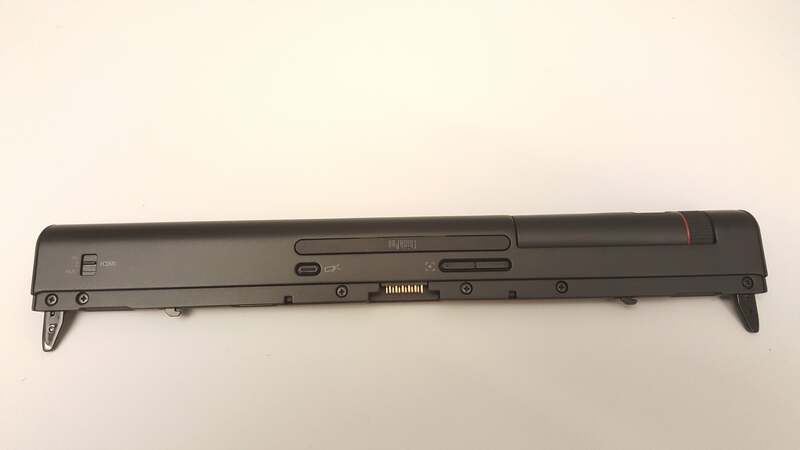 What we didn’t immediately notice, however, was that the ThinkPad bumper in the center of each module is a cutout of sorts. Remove it, and it exposes the necessary pins that connect to the keyboard. The Presenter module turns your tablet into a projector. 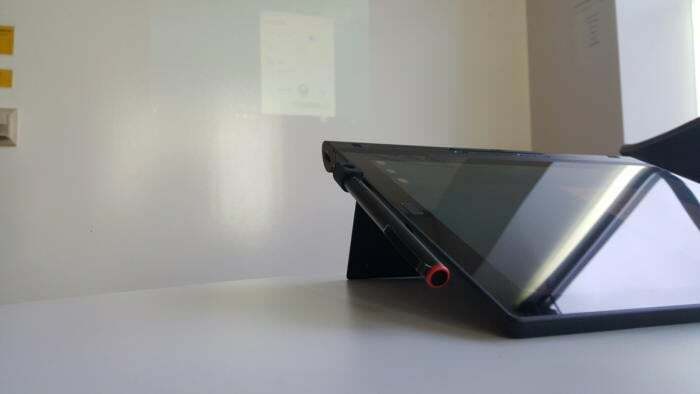 It’s a neat trick to flip the tablet on its back, prop it up using the kickstand, then swivel out the projector module to point it at a wall or other suitable surface. An internal battery stores enough juice for two hours of projection time. The Presenter module’s pico projector mount swivels to protect the lens when not in use. Here, it’s ready to go. Tap the power button, and the projector warms up. In a second or two, it throws a small square of light onto the projection surface, performing automatic keystone adjustment to align the image properly. Alternatively, an HDMI toggle—the module can either display an HDMI signal from another source, or else project the tablet’s screen—allows for an external display. The X1 tablet in presenter mode. Unfortunately, the Presenter module is hamstrung by a lack of luminosity. With just 28 to 32 lumens of power available, the module’s projected image is only truly readable in a dim to dark room. With virtually any ambient light, the image is washed out. 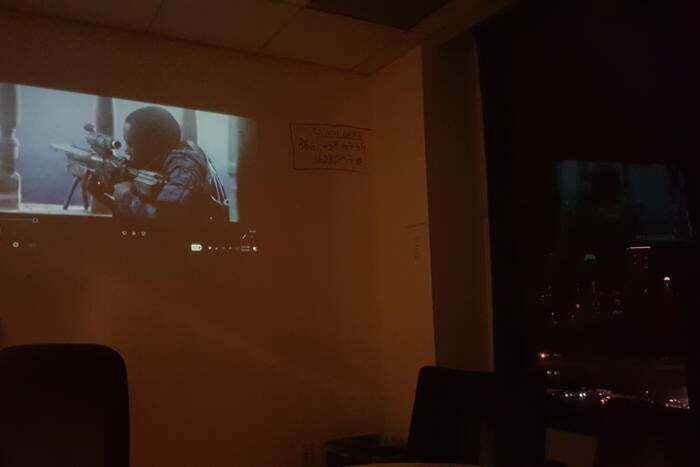 Even in a darkened room, the projected image is just subpar. Worse still, Lenovo says the module can only cast a 60-inch display at 6.5 feet, with a rather poor 854x480 resolution. 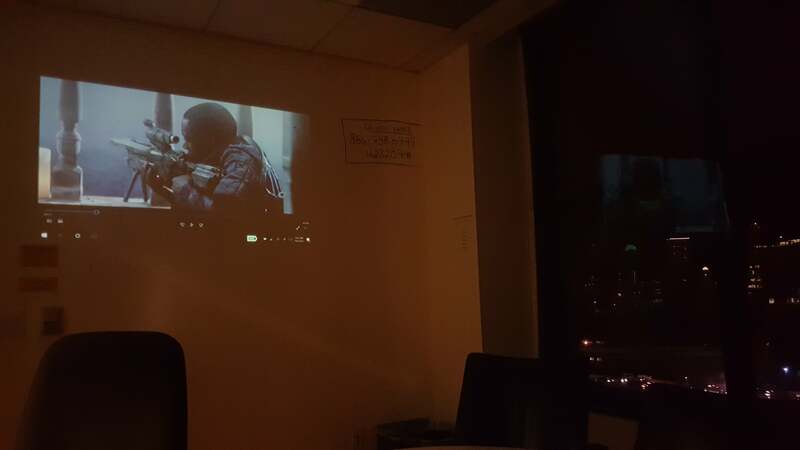 Lenovo’s Presenter module, at night, projected against the wall. Compare this image with the one at the top of the article, shot in the same room but during a cloudy day. To be fair, many, but not all, of the dedicated external pico projectors you’ll find elsewhere offer roughly the same luminosity and resolution. 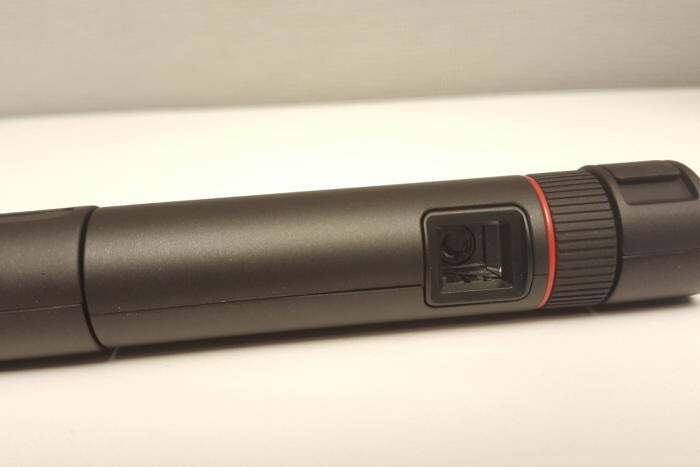 But for the $280 you’ll pay for the Presenter module, you could get an external model like the iCODIS G1, which offers the same resolution, but at 100 lumens. My impressions of the Presenter module: You have a dim, low-resolution display projected just a few feet in front of a bright, high-resolution laptop screen. Why not just huddle around the laptop? 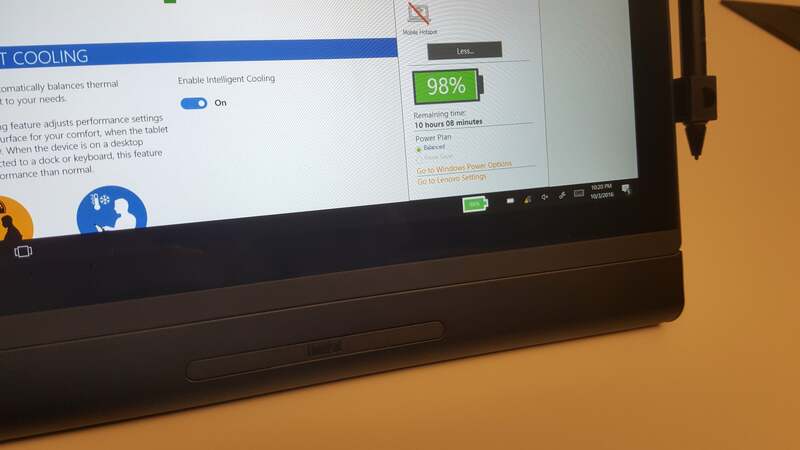 Lenovo’s Productivity module is much more straightforward. 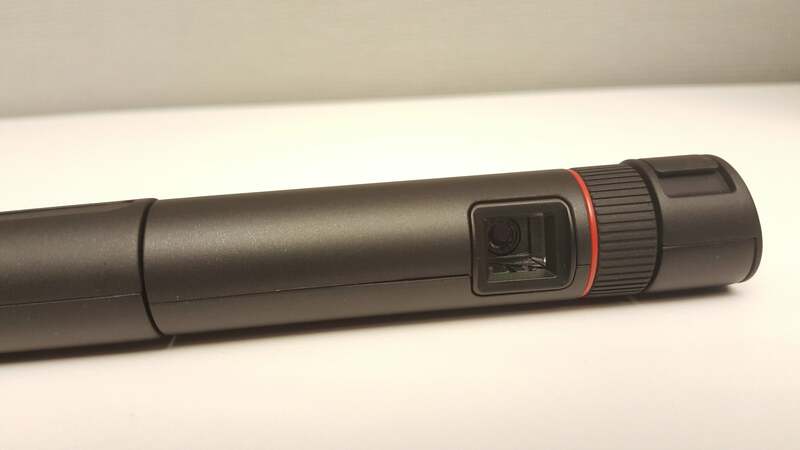 The most important element is a 2-cell battery for an additional five hours of battery life, an HDMI connection, a USB 3.0 connection, and a Onelink port. 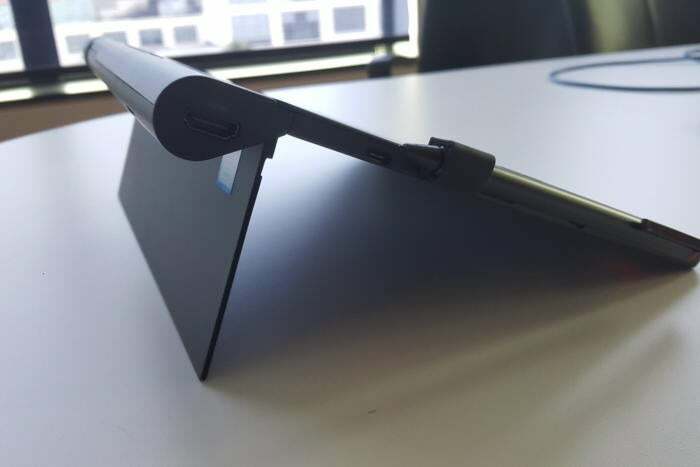 The latter is the connection Lenovo uses for its docking stations...so we have a modular accessory that can connect to a dock that can connect to other modular accessories, like a monitor or hard drive. Flexibility! 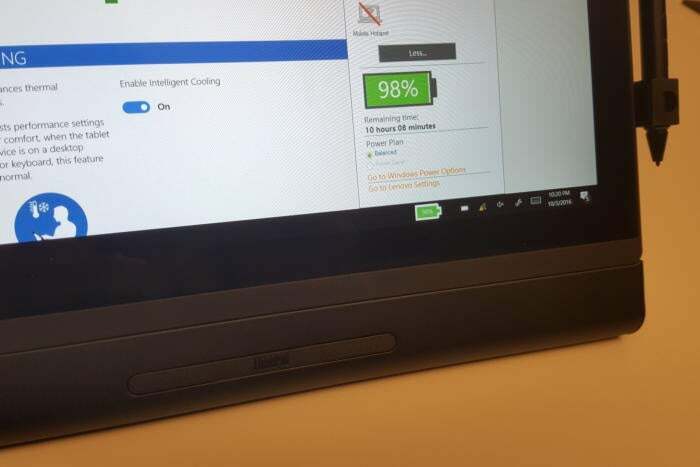 All three modules connect to the X1, but only in tablet mode. Still, the total battery life (an estimated 10-plus hours, in this shot) might be worth the inconvenience. 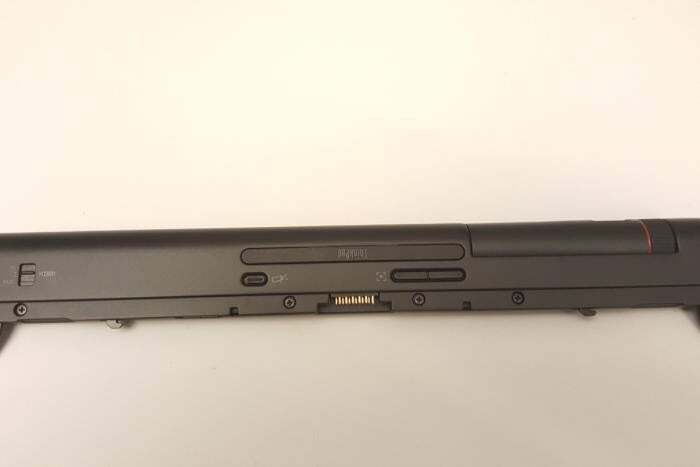 Here, the productivity module is more useful, because the battery simply extends the battery life of the tablet itself: very similar to the “barrel batteries” ThinkPad owners have been able to buy for years. Finally, for those who have a hankering to scan 3D objects or measure virtual spaces, Lenovo provides the 3D Imaging module, with an embedded Intel RealSense camera built in. That’s aimed at a much narrower niche than the other two modules, and wasn’t available for us to try out. 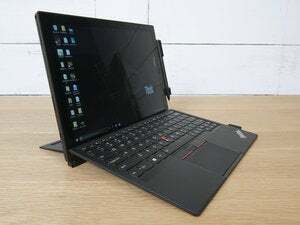 The Lenovo X1 Tablet remains one of our favorite two-in-one devices, not least because of the care Lenovo took in its engineering. We’re happy to see that some of that care extends to the modules, in that they can be use used with the keyboard. We originally characterized the lack of keyboard support as a fatal flaw. Now that that’s been clarified, I think it’s fair to say that the Productivity module’s battery is a helpful, worthwhile addition. But the lack of luminosity in the Presenter module—and those annoying little plastic bits—might give you pause.